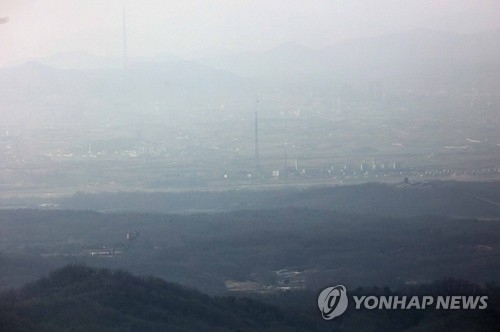 SEOUL, Feb. 21 (Yonhap) -- North Korea appears to be keeping most of its joint industrial park with South Korea intact, informed sources said Tuesday, over a year after Seoul pulled all its companies out of the complex in retaliation for Pyongyang's nuclear and missile tests. No South Korean has been at the joint industrial complex in Kaesong, North Korea, since all 124 South Korean firms then operating there pulled out on Feb. 10, 2016. An earlier report suggested North Korea may have tried to sell some products left behind in Kaesong by South Korean companies to Chinese buyers. The North has declared the forfeiture of all materials and equipment left behind by South Korean firms in the joint complex. Still, Seoul has asked Beijing to prohibit the transaction of such products in China. The informed sources here, however, said such attempts were rather incidental, and that most of the equipment and materials at Kaesong remain untouched. "Officials from Kaesong firms have been told that North Korea is keeping their equipment and materials safe. Officials from the joint Kaesong management office also say there have been no major movements of supplies at the industrial complex," said Chung Ki-seop, head of an emergency committee for 124 former Kaesong firms here. Local analysts suggested the North's keeping its hands off the goods at the joint complex may indicate its wish or willingness to reopen the park that was once considered a symbol of inter-Korean reconciliation. 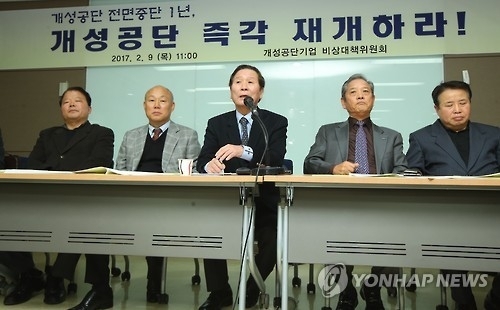 "The North's military and party are said to have tried to sell some goods from Kaesong to earn hard currency, but the amount appears to be extremely small," said Cho Bong-hyeon, a senior official and researcher from the private think tank IBK Economic Research Institute. "North Korean authorities are rather keeping the equipment and finished products left behind by Kaesong firms safe. In the past, the North would have used such goods, but the fact that it has not appears to show its wish to restart the industrial complex," he added. Such a wish is apparently shared by the 124 South Korean companies and their employees forced to leave their workplace a year earlier. They said raw materials and finished goods they left behind alone are worth over 240 billion won (US$209 million), while their equipment there is worth another 600 billion won. Their repeated requests to Pyongyang to be allowed to retrieve their goods and materials have gone unanswered. Seoul, meanwhile, remains opposed to reopening the joint industrial park, insisting that U.N. Security Council sanctions against the communist North also keep it from doing so. "The imposition of United Nations Security Council sanctions resolutions is aimed at making North Korea give up its nuclear weapons, not pursuing dialogue," Seoul's Unification Minister Hong Yong-pyo told the National Assembly last week, when asked whether the resumption would violate relevant U.N. resolutions.